Start your private tour to discover different layers of history at The Monastero of San Bonaventura on the Palatine Hill. Travel through 3000 years of history, strolling through the ruins of huts from the 9th century B.C. and discover the settings of the Imperial Residence from the first - third century.From the glorious splendor of the Empire we will travel to the time of its collapse, when the symbols of the Great Rome were abandoned and destroyed. We will enter exclusively in the ancient Monastery of San Bonaventura, that since the 8th century represented a fortress to protect the hill. The friars will open the doors to the rooms of this ancient place full of mystery and surrounded by a mystic atmosphere. From the top of the monastery we will marvel at one of the most stunning view of Rome. 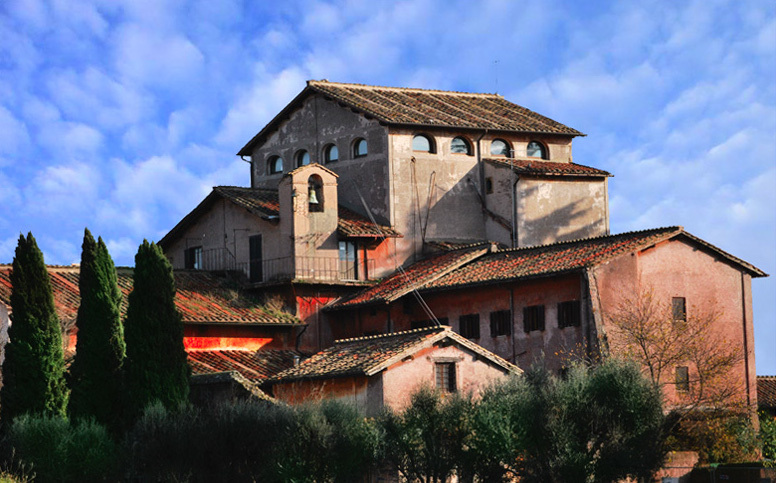 Continue your journey to discover the Santi Quattro Coronati Church, and explore this marvelous fortress. End in the labyrinthine caverns beneath the Basilica of San Clemente.